May’s birthstone is the gorgeous emerald. 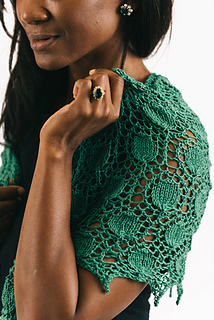 This knit shawl features jewel motifs embedded in a delicate lace lattice in an emerald green hue. 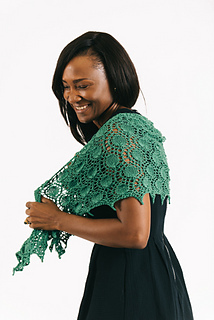 Pair this shawl with emerald jewelry and you’ll be stunning in green.